8.00am arrival for an 8.30-10am trial. 10.00 arrival for a 10.30-12pm trial. 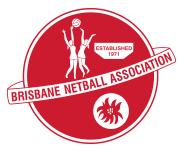 Please note – this is not trials, just an opportunity for our NetSetGoers to have some fun and play some netball!